No matter how much or how little you spend, it's to protect the rest of your funds on your card. Yes, I know that most banks will protect you, but, there is always a minimum payment. Not to mention the hassle of dealing with it. Plus, the criminals know a lot about you when they steal your CC. So, it could be a lot worse. You may have to go through the whole process of changing bank numbers, payments and passwords. 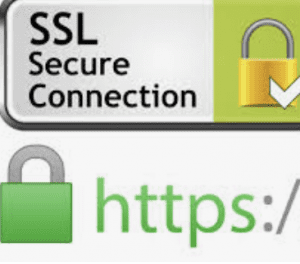 The difference between having an SSL cert, and not, is that there is a 3rd party, that provides that SSL certificate. So, there is another company, that itself has to be certified to allow the option to sell SSL certificates, to give this website an SSL cert. They create the encryption, and make everything secure. The website owner, does not get to see how it's certified, and the issuer of the SSL cert doesn't get to see the data.